The happiness we feel after a particular event or activity diminishes each time we experience that event, a phenomenon known as hedonic adaptation. But giving to others may be the exception to this rule, according to research forthcoming in Psychological Science, a journal of the Association for Psychological Science. 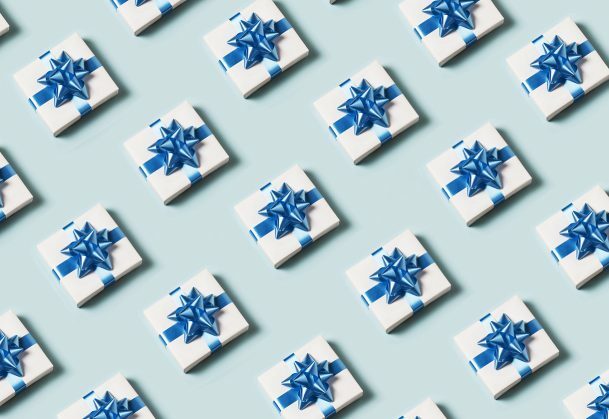 In two studies, psychology researchers Ed O’Brien (University of Chicago Booth School of Business) and Samantha Kassirer (Northwestern University Kellogg School of Management) found that participants’ happiness did not decline, or declined much slower, if they repeatedly bestowed gifts on others versus repeatedly receiving those same gifts themselves. “If you want to sustain happiness over time, past research tells us that we need to take a break from what we’re currently consuming and experience something new. Our research reveals that the kind of thing may matter more than assumed: Repeated giving, even in identical ways to identical others, may continue to feel relatively fresh and relatively pleasurable the more that we do it,” O’Brien explains. In one experiment, university student participants received $5 every day for 5 days; they were required to spend the money on the exact same thing each time. The researchers randomly assigned participants to spend the money either on themselves or on someone else, such as by leaving money in a tip jar at the same café or making an online donation to the same charity every day. The participants reflected on their spending experience and overall happiness at the end of each day. O’Brien and Kassirer then conducted a second experiment online, which allowed them to keep the tasks consistent across participants. In this experiment, 502 participants played 10 rounds of a word puzzle game. They won $0.05 per round, which they either kept or donated to a charity of their choice. After each round, participants disclosed the degree to which winning made them feel happy, elated, and joyful. Adaptation to happiness-inducing experiences can be functional to the extent that it motivates us to pursue and acquire new resources. Why doesn’t this also happen with the happiness we feel when we give? These findings raise some interesting questions for future research – for example, would these findings hold if people were giving or receiving larger amounts of money? Or giving to friends versus strangers? Both experiments were preregistered and all data and materials have been made available online via the Open Science Framework. This article has received the badges for Open Data, Open Materials, and Preregistration. I feel that when we give, the endorphins allows us to experience elevation in mood and grant a short lived euphoria. I live well beneath my means and sometimes I sacrifice my own needs just to be able to give to others. If your monthly bills are paid and you have a healthy reserve for emergencies, what good is having more money. If giving is your passion then give the balance away to some form of charity.